I am a Goodreads refugee. I have my preferred genres, but I have been known to step out of them if a book manages to really grab my interest. Also, I'm such a voracious reader that I will read and review books that I win in giveaway contests or that are sent to me for free by the author/publisher. First off, I won my copy of the book via a giveaway hosted by Goodreads. I gotta say, history has never been my favorite subject and with a few exceptions it has always failed to capture my interest AND hold my long-term attention. The cultures which have always held my interest have been from the distant past. Usually this consists of cultures before the Christian religion was born. The ancient Celts, Vikings, Egyptians, and a few others have been the focus of my only interest in history whether it be true accounts or fictional. In Temple of a Thousand Faces I have found a new interest in a culture I had little knowledge of. I'm not saying my interest was non-existent but it was sparked by fictional things such as the movie Tomb Raider, hardly a reason to become engrossed by a people long dead. The book has a reader's guide included and because I think it will enhance my review for others I will answer some of the questions here, however this means that some spoilers will inevitably be present so if you wish to read with an open mind perhaps you should not read my review any further than this. 1) What was your overall reaction to the novel? What parts did you particularly enjoy? - My overall reaction to the novel was exhilaration, passion, and praise in the work which John Shors has written with the magnificence worthy to bring such a wonder as Angkor Wat to life in such a way. I particularly enjoyed the parts of the book which came from the perspectives of the fictional characters Mr. Shors created for the reader to grasp the understanding of the undercurrents of this time in history. Asal and Voisanne were the voices I looked forward to the most, with Prak, Vibol, Boran, and Soriya being my other point of interest. 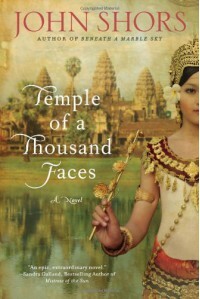 2)Had you heard of Angkor Wat before reading Temple of a Thousand Faces? - I must confess that I probably had heard about it but because of my severe lack of interest in history I likely shuffled it to the cobweb filled recesses of my mind. 3) Clearly John Shors tries to bring Angkor Wat and its surroundings to vivid life. Is he successful? Can you visualize the temple and the people? - In my opinion he is resoundingly successful in bringing this majestic temple, the people who built it, and the land in which is was built to vivid life. I found it easy to visualize the people, the temple, and everything else which Mr. Shors described without getting bored by dry detail. 5) Several of the major characters are powerfully influenced by their belief in reincarnation. Why do you think the author felt compelled to explore this belief? - People are defined by many things. Culture, status, gender, and many other factors. Yet few in all of history has held as little sway over people as their religious beliefs. How many times in history have wars been fought in the name of one religion or another? How many deaths can be attributed to the spread of a religion? How many miracles are professed to happen through sheer faith? 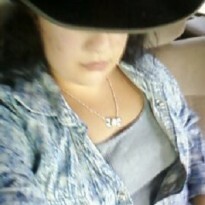 The only thing I have ever known to rival the strength of faith is the strength of love. 9) Do you think that works of historical fiction serve to make the world a smaller and perhaps a better place? Why or why not? - I believe that yes historical fiction serves to make the world a smaller and maybe a better place. As the old saying goes, history is written by the victor. Rarely if ever are any true accounts left behind by the defeated for future generations to understand both sides. Mostly we are left to wonder and yet most make assumptions based on what they learn in class or even based on personal biases. Authors such as John Shors bring to life everything about the times of which they write. Each side is given representation. Each walk of life gets a chance to have their story told. I applaud John Shors for this captivating work and I think that maybe I will keep an eye out for [b:Beneath a Marble Sky|94672|Beneath a Marble Sky|John Shors|http://d.gr-assets.com/books/1309288764s/94672.jpg|3338224] so that I can be swept up by another people in another time.